Announcement 25% off November 26 - 30, 2018. Use discount code CYBER18. Hello and welcome to my shop! 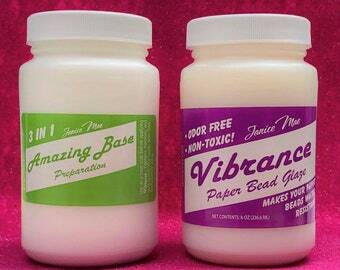 Whether you are a D.I.Y(er) or interested in ready-made items, I have paper bead products that will delight you. You will find paper beads-making supplies, loose paper beads, ready-to-wear (or ready-to-use) items, and kits that give you everything you need to make your own paper beads. 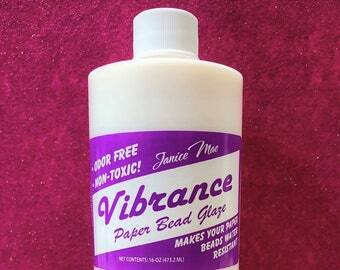 All of my beads are hand rolled in the Philippines and coated with non toxic glaze that makes them water resistant. You will enjoy your pieces for years to come. This shop was born out of my desire to help Philippine women have jobs and help children with school supplies. 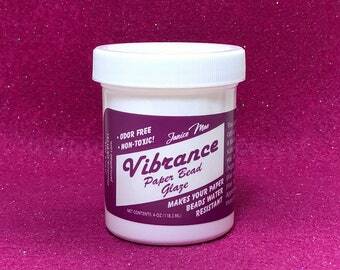 I offer tutorials and inspirations on my YouTube Channel and paperbeads.org. Please check them out. Thank you for stopping by. I appreciate your business. 25% off November 26 - 30, 2018. Use discount code CYBER18. 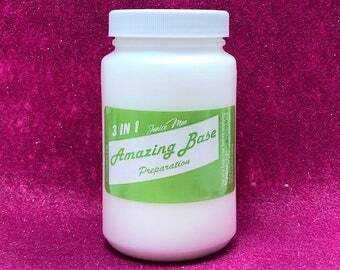 Base & Glaze Kit - 8 oz. Not my first purchase from this vendor. 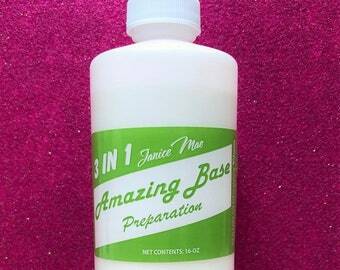 Have always been pleased with her products and her service. Love all her stuff! No need to measure just roll it, comes out perfect. It was shipped on time too. There's so much more that I want but have to wait for now, until next time. Thanks. 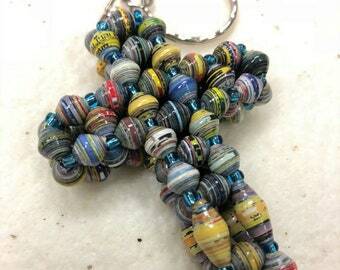 My paper bead adventure began in 2008. My sister Joann and I wanted to help a few children with much needed school supplies, and we wanted to help housewives make a little money on the side. When I read a magazine article about paper beads being made by kids at a Sunday school and camps, we became excited about the possibilities. My sister and I did not sleep that night. She cut-up magazines and we began experimenting! I attended my first Craft and Hobby Association show in 2010 and the rest is history! I share what I know on my YouTube channel and blog, paperbeads.org. I also have a Facebook page where I share my own work,along with others in the paper bead community. As my granddaughter tells me, "caring is sharing" and I do care about the people who watch my videos and tutorials. They visit because they want to start a new hobby, they're looking for projects for a fund raiser or income, or just want to be a part of the whole handmade revolution. I want to be an example...if you do something you love, you will be successful! 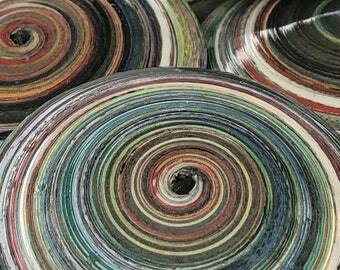 In my shop, you'll find beads made out of recycled magazines, and jewelry that I make with those beads. 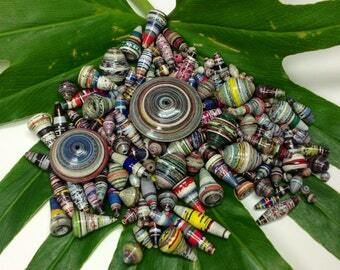 You'll see that you can make jewelry from paper beads that will rival any fashion jewelry out there! My jewelry pieces are more than just jewelry, each bead is hand crafted and behind it, is a story of the woman who made it for you! I am happy that you found my shop- you will find tools and supplies that will allow you to make your own one of a kind beads. 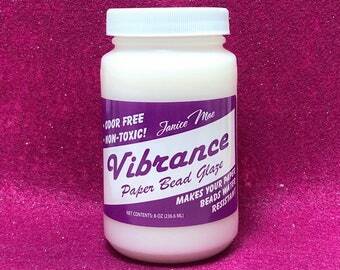 My paper bead bamboo roller, along with my Amazing Base and Vibrance Glaze, will make beads that can last a lifetime. 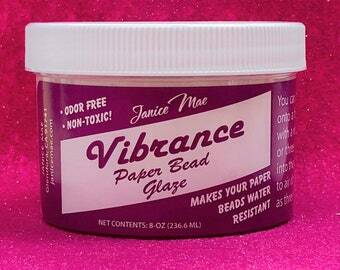 After you get bitten by the Janice Mae bug you will see paper differently; a Kleenex box, cereal box, packaging, envelopes, scrap book paper.......they can all be recycled into beads. You can do it! Thank you for stopping by. I appreciate your business. I am in the health care profession, and having a hobby to relieve stress is very important. Rolling beads can be pretty addicting in a good way. I wear my jewelry and I love giving them as presents, they are conversation pieces and tells a story. Andrea fell in love with paper beads five years ago which lead to another hobby making jewelry. She has a talent for mixing paper beads with stones and crystals. She is also Janice's Assistant and helps out with filling orders. Thank you for stopping by my Etsy Shop. April 2018 orders receive an egg with a surprise gift inside! If a product is broken or defective, please send me a conversation with a description and picture of the damage. If it arrived damaged, please also include a picture of the packaging material. Return shipping for non-defective/damaged items is the responsibility of the buyer. We ship via USPS. If you would like to make sure your order is tracked through the post office, please add $1.25 to shipping cost.